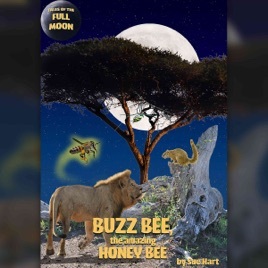 Buzz Bee is proud of the fact that she and her kind are the cleverest, the busiest, and the most useful of all creatures on earth. Ambassadors of nature, bees are a vital link between plants and animals. Who, but the amazing honey bee, can find the way home on a sunbeam? And what would we do without honey? A true story about the honeybee: how she lives, works and dies. Brought to life by Rula Lenska, there are many and varied sounds of the other characters in the bush that prowl, walk, fly and stalk. A novel way for the young to learn about the vital role the honeybee plays in today's world. A fun way for children to learn about the amazing contribution that the honey bee makes to nature.